…is completely empty. Now, this isn’t because there aren’t any shows out there I enjoy or that the ones that exist I consider bad or anything. 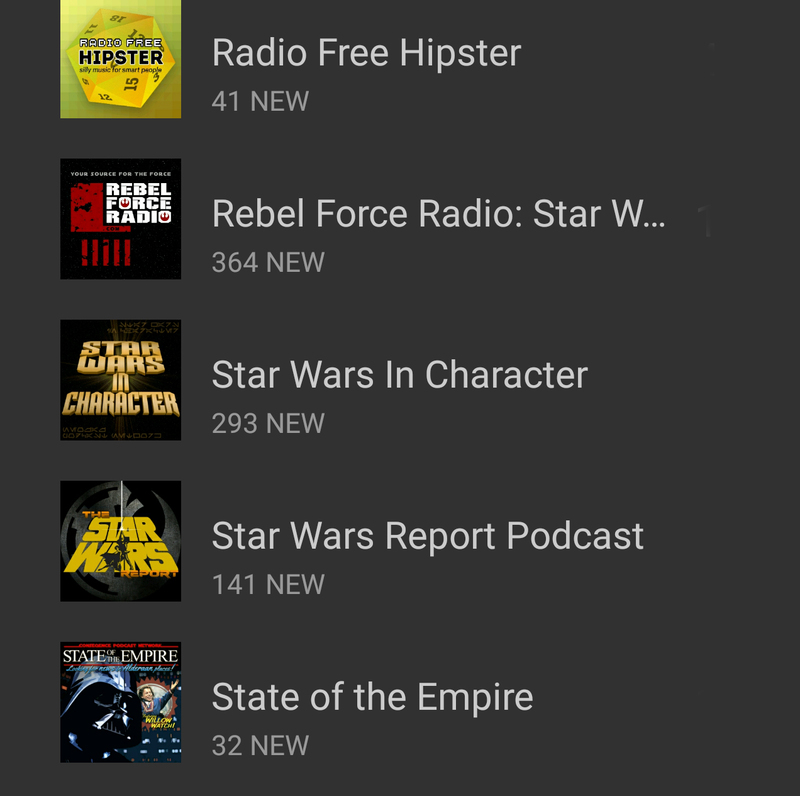 I’m also definitely not trying to say that Hoth Topics is so superior to other shows that I don’t even bother with lesser podcasts. I am subscribed to around 20 shows, 16 of which are Star Wars related (there some comedy and a couple Warhammer 40k shows that I haven’t really paid attention to since 6th ed 40k came out YEARS ago). But, I haven’t updated any of the feeds for a few months. I used to have a job where I was on the road about 95% of the time. I would go to the airport at 4am on Monday and come home Friday night, traveling every day on the days in between (usually 6-10 flights a week for almost a year). A lot of hours on flights and even more in airport terminals meant that Podcasts became my boredom savior. Radio shows talking about my interests when I wanted to listen to them? Exciting. All my Star Wars news came from these shows and a lot of how I view Star Wars was shaped by the voices I would hear coming through my headphones. 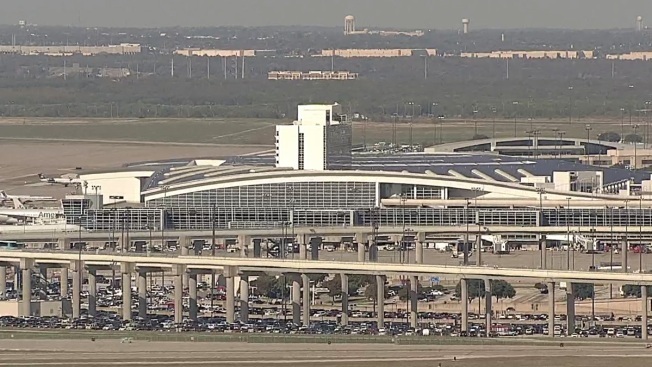 The Dallas-Fort Worth Airport has a super fun tram system and a T.G.I.Fridays in every terminal. lots of podcasts listened to here. So why haven’t I updated my feeds in so long? Well, because of this show, Hoth Topics. When we started this show, I wanted to make sure that as much of our content as possible was (mostly) original thoughts. I looked at these other shows as the Sacred Jedi Texts, I drew inspiration and knowledge from them, I collected them, and then put ’em on a shelf to never look at them again. The last thing I want is to inadvertently steal a line of thought from Steele Saunders (Steele Wars) or take an episode topic from State Of The Empire and duplicate the same thing they did. I have insane amounts of respect for these shows and the amount of work they put into their own content and I would hate to accidentally ride on the coat tails. I used to co-host another podcast many, many, years ago. 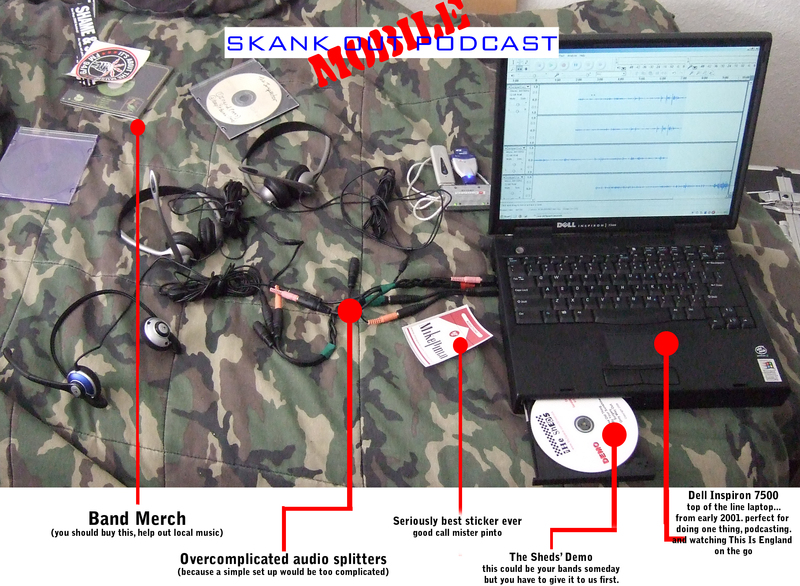 The Skank-Out Podcast. We were a Ska/Reggae/Punk podcast that partnered with a local concert production group (Skank Out Productions) to play ska/reggae/punk and help promote local bands and shows. In this instance, listening to other shows was necessary to find new music. But I’ve felt like this doesn’t work the same for a Star Wars show. It seems different to say “Our Homies over at The Ska-Cast just found this hot new track from Reel Big Fish, check it out”, than it does to say “Jason Ward, at Now This is Podcasting, said *blank* about *blank* and here is what I have to say to that”. 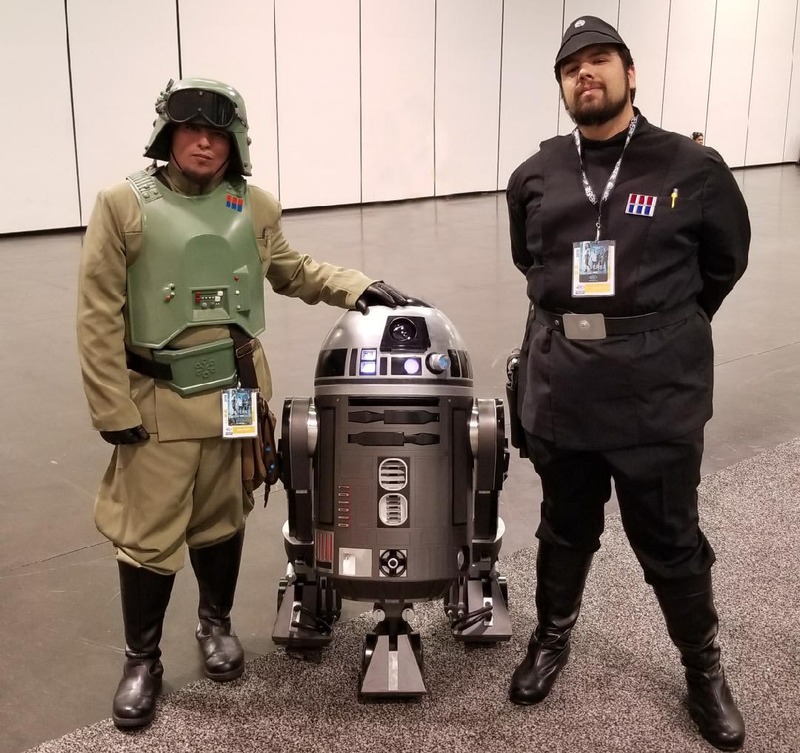 Out of necessity to try to remain impartial and original with our content, I have gone Master Skywalker and have gone on a self-imposed exile from the Star Wars Podcast Community and this has started to wear on me. Hoth Topics is about 9 episodes in and sometimes we struggle to figure out a topic for the next show and this really has me concerned being a new podcast. Some of this is due to our professional recording of schedule “OH CRAP, we are supposed to release a new show tomorrow!”. Don’t worry though, we have a number of shows topics in the ‘Show Topic’ bucket for many a releases ahead (for now). So maybe I do need to update my Podcast feeds and instead of worrying about stealing another shows content, take notes on the episodes and see what, if there is anything, that I can add to the conversation in the community. Maybe instead of worrying about stepping on others toes, I need to focus on making my content the best it can be, regardless of where the idea comes from. There are dozens of Star Wars podcasts and the odds of keeping things 100% original is lower than the odds of successfully navigating an Asteroid Field. So, I think I’m going to go download the newest episode of State of The Empire, maybe hearing a new perspective on things will help shed some light on things. Because after all, we can learn nothing new if we stay in the dark. I do want to send a huge THANK YOU a couple of shows that have helped cross promote Hoth Topics since our inception. I know this article is talking about how I haven’t listened to new shows in awhile, but these folks are fantastic people, because the liked our show. And I’m all about people liking me. Nerdy Show – Nerdy stuff.